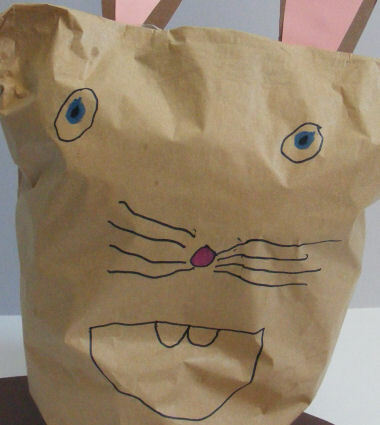 Here's a fun paper bag rabbit craft to try with the kids. We think our rabbit has loads of character! 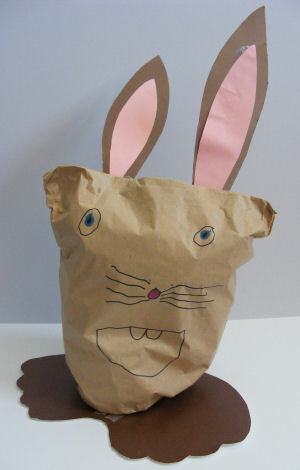 And he's fun to make for all ages, great for Easter or Chinese Year of the Rabbit. Draw a face on one side of the paper bag. From brown card cut two long ears. Cut two smaller pink ears and glue them to the centre of the brown ears. 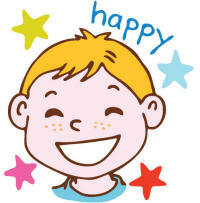 Glue to the bottom of the paper bag (the closed end). Fill the bag with scrunched up newspaper and tape shut. From the brown card cut out two feet, using our template to help. Stick the rabbit to the feet so it stands upright. Finish by gluing on a pompom tail.